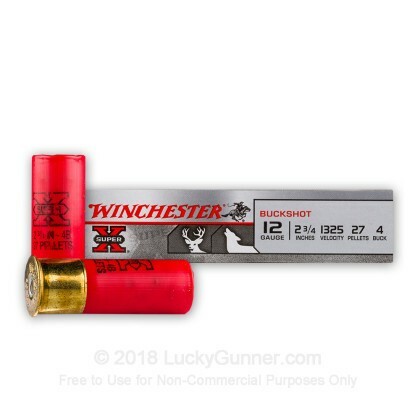 This #4 Buckshot from Winchester is buffered to produce tighter shot patterns and delivers tremendous punch on targets at long range. 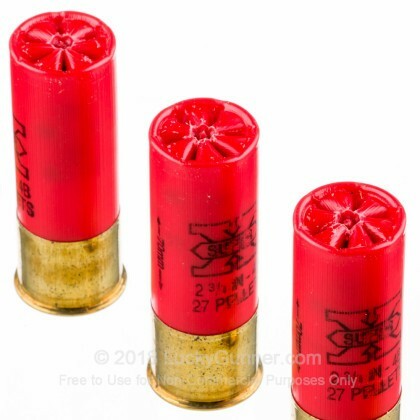 It is great ammunition for hunting or shooting targets. 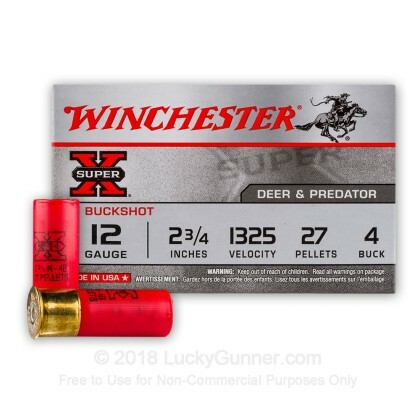 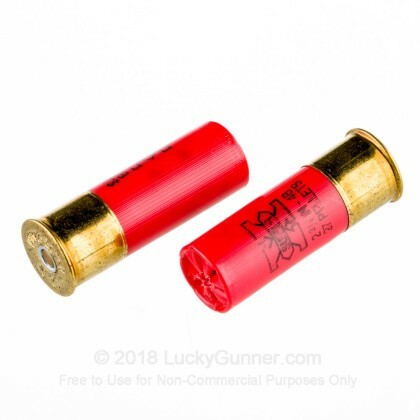 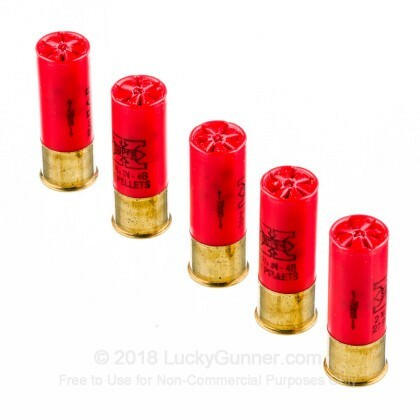 For great buckshot performance you can't beat the superior quality of Winchester Super-X Buckshot loads. 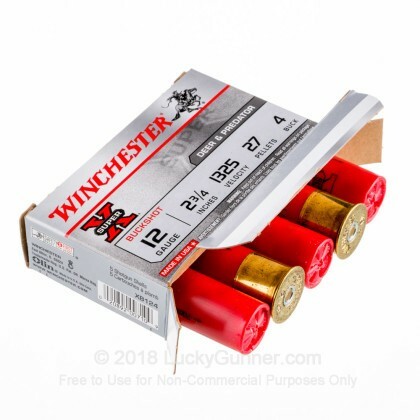 We also have this 12 Gauge - 2-3/4" #4 Buck - Winchester Super-X - 5 Rounds ammo in stock in a smaller quantity.